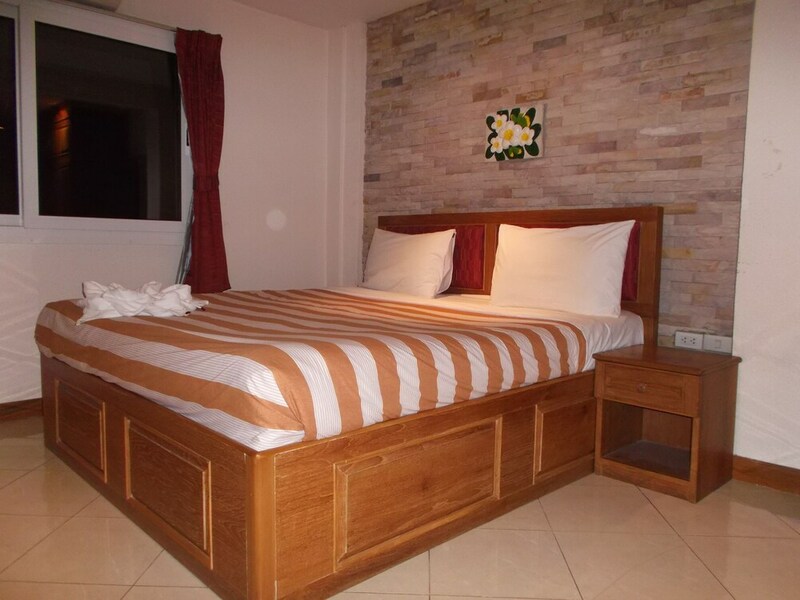 Located in Central Pattaya, this guesthouse is within a 15-minute walk of Soi L K Metro, Central Festival Pattaya Beach, and Pattaya Beach Road. Pattaya Beach and Ripley's Believe It or Not are also within 15 minutes. Along with a bar/lounge, this smoke-free guesthouse has a coffee shop/café and a rooftop terrace. Free WiFi in public areas and free self parking are also provided. Additionally, a microwave in a common area, a meeting room, and dry cleaning are onsite. All 14 rooms provide conveniences like refrigerators and coffee makers, plus free WiFi and cable TV. DVD players, minibars, and safes are among the other amenities available to guests. The guesthouse offers a coffee shop/café. A bar/lounge is on site where guests can unwind with a drink. Wireless Internet access is complimentary. This business-friendly guesthouse also offers a rooftop terrace, complimentary newspapers in the lobby, and dry cleaning/laundry services. Limited complimentary onsite parking is available on a first-come, first-served basis. Chaiyapoon Inn is a smoke-free property. News - Onsite restaurant. Open 24 hours. One child 8 years old or younger stays free when occupying the parent or guardian's room, using existing bedding. No pets and no service animals are allowed at this property.